Wick’s Pizza makes your events easy to manage and delivers Best of Louisville Pizza, pasta, sandwicks and salads right to you. 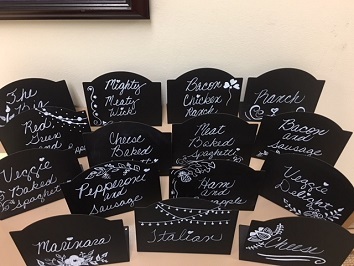 Our team can customize a menu that will make your guests happy and do minimal damage to your pocket! We’re not fancy delivery, we’re the real deal. We deliver a hands free experience; We will set up, serve and clean up. 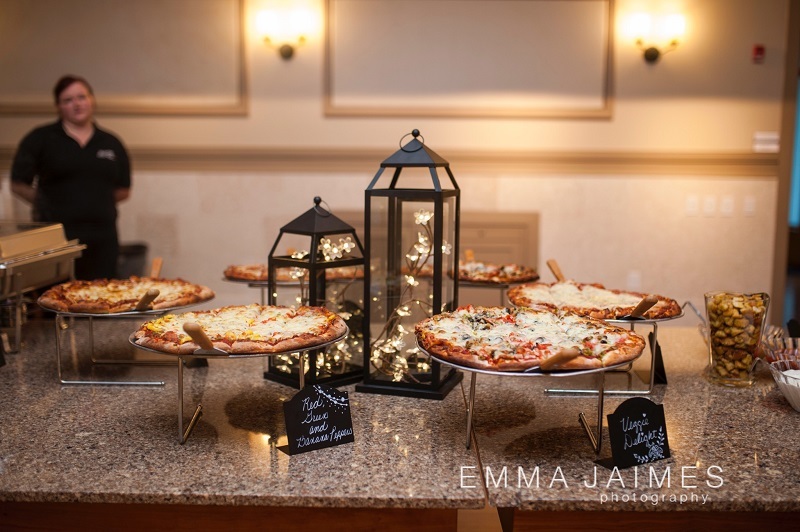 Make planning your next meeting, family gathering, holiday or event easy with Wick’s Pizza Catering. Email LisaT@wickspizza.com to get more information about Wick's catering packages. From Wedding Catering to corporate luncheons, Wick's is the solution to your problem. With the best cancellation policy in the business, Wick's truly delivers a worry-free experience. A 20% check deposit posted-dated to the month of your event will hold the date for you. It's cashed the first day of the month or at least two weeks before the event and is fully refundable until noon 7 business days prior to the event, when the balance is also due. We will gladly accept installments, and your menu can be changed up to 7 business days prior. THE BEST CANCELLATION POLICY AROUND! 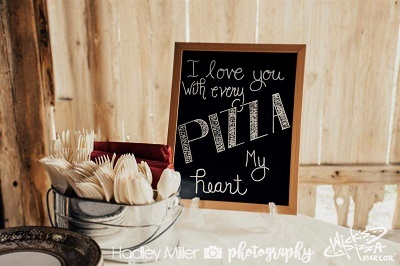 To book off-site catering, email lisat@wickspizza.com and be sure to check us out on TheKnot.com! Or, join us in-house using one of the private or semi-private spaces at each of our locations. We can provide you with buffet dining, family style or table service. Choose from open bar, prepaid beer and wine or cash bar. Basically, we can tailor your party to be what you want it to be. Call the Wick’s nearest you and let us take your special event to the next level. Wick’s Pizza, Home of the Big Wick. Big pizza, big fun! Private rooms are booked based on availability with no specific room charge. We ask that your party meet a minimum expenditure per hour. Per hour prices vary per location. Failure to meet minimum expenditure will result in the balance being applied to order total. All rooms are opened to the public at 9:00 pm unless otherwise specified by your Wick’s representative. We ask that cancellations be received prior to NOON three business days before the event. 20% gratuity will be added to private parties or full service catering of 6 or more.